Casino Cosmopol from Gothenburg, Sweden organise on 11 – 13 December 2015 the “Christmas Poker Week 2015”. 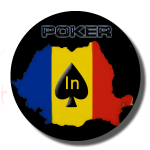 – Sun 27 Dec at 4.00 pm No Limit Hold’em – CPW Shorthanded Day 2 final. – Wed 30 Dec at 4.00 pm SKr 200 + 100 No Limit Hold’em – Crazy Christmas 2000 chips 100 seats – Rebuy Over the bar.